For those without comedic tastes, the so-called experts at Wikipedia have an article about Blandford. Blandford is a small English town on the banks of the river Piddle. It's a pleasant and peaceful place where not much has changed since the coronation of our fair Queen. In fact, we've no calendars later than 1957, the start of what I like to call 'the great pleasantness decline'. All the people here are polite, over the age of sixty and certainly not prone to outbursts of these so-called ‘emotions’, which so many of these 'celebrities' seem to have these days. It's an extremely irritating habit - worse than smoking in my opinion - and we should do everything in our humble powers to stop it. Here in peaceful Blandford we maintain a stiff upper lip at all times- why just the other week my wife died, and do I sound like I care? I certainly hope not. Regrettably things aren't always as pleasant here as they could be. In fact there was some dreadful goings-on here last week when some young hooligans arrived in the town square with their crisp packets and transistor radios and foul-mouthed 'opinions'. Luckily Old Mr Jocelyn turned up with a stout metal pipe, and chased those young vagabonds away, right into the jaws of Lord Humphrey's hounds. How those young whippersnappers squealed! Of course not many people care about these callous threats to our pleasant way of life, but you should! Blandford may sound like some innocent boring town, but you need to reconsider your opinion... Actually it’s a very interesting town, and I've lots of evidence to prove it. I would even stoop to your level and say it’s a ‘cool’ town if I did not abhor slangs to the point of nausea. Please take notice that nausea is not a real emotion, as it is felt at the top of the stomach. 5 Why Don’t You Care? I like to think of Blandford as a thriving cultural melting pot chock-full of cultural diversity. There are people from all walks of life; those who like rich tea biscuits and those who prefer Hob Nobs. People who read the Daily Mail, and people who just look at the pictures. What wider spectrum of opinions could you wish for? There’s no room for unpleasantness or the sort of things one finds in the so-called ‘real world’. We don’t have any of these televisions or cinematoscopes or grand theft ipods. We entertain ourselves the old fashioned way, with wheelbarrow races, cider and shotguns. Hunting’s very popular here. There’s nothing better than hurling a lead pellet towards anything that moves, especially if that thing is cute to the point of being confused with a plush toy, as happens with the foxes and hares. Hares having over foxes the clear advantage that, when you render them motionless, they become suitable for the stew pot. It’s nothing but good harmless fun that every child will enjoy. Which other villages can boast three year olds with sixty confirmed kills apiece? None that I can think of. Lord Humphrey closes in for the kill. Lord Humphrey--Our most prominent resident is the local aristocrat Lord Humphrey; he owns everything within twenty miles, including the Hemp Mills and Ducking Stool. Even our clothes, now I come to think of it. He used to own the asbestos mill too, before the government closed it down due to some new-fangled 'Health and Safety' nonsense. The safety inspector said something about child labour, suspicious accidents in the furnace, and union officials hunted by dogs. It was all hushed up; Lord Humphrey still won’t talk about it to this day. But Lord Humphrey isn’t just a land baron; he’s also Master of Fox Hounds in our local hunt. Lord Humphrey does enjoy a good days hunting, he’ll hunt almost anything, foxes, deer, Ford Cortinas. I once saw him chase a Volvo armed with just a scimitar. He almost caught it too, if the car hadn’t crashed into that tree and exploded I think he’d have taken the licence plate home as a trophy. Lord Humphrey goes hunting almost every day, I don’t think there's been a single day in fifty years when he hasn’t thrust a machete into a squirrel's hole and cried "Take that for St. George". I’ve lots of fond memories of Lord Humphrey at the hunt, like the time he chased a mini for sixteen hours and 14 minutes. During one particularly memorable hunt in the summer of '42 I watched him gut a boar, then drink the entire contents without pausing for breath. He seemed very excited. I watched as he howled like a wolf afterwards, then tore the carcass to shreds with his bare teeth - and he only had three, since that unfortunate accident with the combine harvester. I do remember being slightly worried - he was naked after all, and it was a very cold evening, he could have caught hypothermia, or injured himself on a twiglet. Lord Humphrey has been known to exhibit some slightly eccentric behaviour at times. It's begun to get rather awkward recently as he’s finally grown bored of hunting foxes with hounds, and so had 50 lions imported from the Congo. Now he just hunts hikers with lions, which is no less than they deserve. Lord Humphrey can’t abide hikers, and who can blame him. Them useless bobbies are forever trying to harass him and digging up the land mines he plants, but more power to his elbow say I. Father Crudden-- Another important villager is our parish priest. At the moment our priest is Father Crudden, we’ve been through lots of priests lately, they never seem to last more than a month here. Perhaps they really want to preach to young people, but it’s probably because they're always asking awkward questions, and stirring up trouble. Last month when Father Crudden arrived we got off to a bad start. He asked me if I often read the Bible so I held up a copy of the Daily Mail, and said: ‘This is my bible.’ It didn’t seem to go down too well as he choked on his macaroon and I had to hoover the carpet straight away. He often tries to stop our traditional village events like the annual gypsy scourging, and our offerings to the great She Goat. Last time Lord Humphrey had to give him a stern talking to; Mr Jocelyn was there with his trusty metal pipe. He soon saw our point of view. It’s amazing how persuasive Mr Jocelyn and his trusty rusty pipe can be. Blandford has been a fording point since Anglo-Saxon times, when it was recorded as a place where farmers would go to discuss cider, and trade unwanted children for potatoes. By the 13th century it had become an important market town, and a major source of typhoid. Very little else happened till hundreds of years later when Blandford came third in the 1970 East Anglia pig breeding trials. It's a source of pride to this day, we actually melted down the village war memorial and produced a crude cast iron replica of the third best pig. The pig received lots of other honours as well, it was allowed into the local lodge of Masons, and given the keys to the town by our mayor Mr Jenkins. Of course those were in the days before Mr Jenkins disgraced himself at the annual village fair, when he spilt some lemonade on the Grandmaster's best apron, and gave his entry in the vegetable competition the award for 'most malformed turnip'. 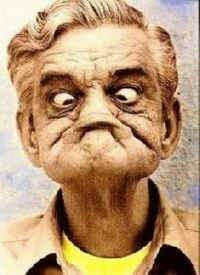 Afterwards Mr Jocelyn went to speak to him, at four o'clock in the morning, with a loaded shotgun and a bag of cement. Mr Jenkins wasn't mayor anymore after that. Mr Jocelyn is a very helpful man; whenever the village has a problem he arrives with his sharpened gardening tools to make it go away. 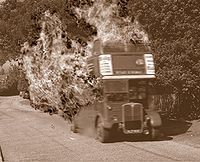 Four years ago the Milk Truck broke down, there was no tea for three days, dark times indeed, very dark times. I thought about ending it with a bottle of Toilet Duck. It was the bleakest time since the Black Death. But luckily 'Countdown' was on, wouldn't want to miss 'Countdown'. So Richard Whitley actually saved my life, I wrote him a letter, he didn't reply. Our festivals are the envy of East Yorkshire, you wouldn't want to miss this. You might think nothing ever happens here but you’d be wrong. I don’t mean to boast, but our vibrant social calendar is the envy the surrounding area, where nothing more exiting than pig wrestling and traction engine fairs take place. We have much more interesting ways to pass the time. Sometimes we have up to four dart games in the same day! Frankly it's insane. And I haven’t even mentioned the dominoes games yet, or Mr Prendergast and his hilarious dancing cat. You might think zapping a kitten with 10000 volts would be completely horrifying, but you ought to see the look on its face, classic, simply classic. We also host lots of events. 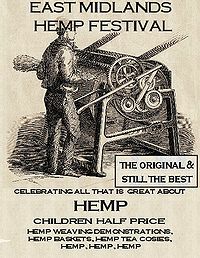 Last year we hosted the East Midlands Hemp Festival, and this year Jethro Simpkins is going to give a live demonstration of his famous barking sheep. That really is going to be a night to remember, it’s been more hotly anticipated than the great Exeter plough race. And that was a really great race. Twelve hours of rusty metal and soil, I can’t think of anything better. We used to play Bingo at the church, and Father Crudden always used to win. We sent Mr Jocelyn to have a friendly chat with him about his good luck. Later that day the church burnt down. Now we're Protestant. 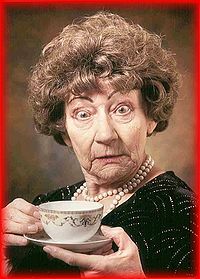 Old Miss Jenkins, surprised to find her tea is caustic acid. Being a small English town, Blandford is subject to a murder about once every week. We're usually shocked for a couple of days after the murder, but we're used to them by now, I mean to us a man with an ice axe in his head is no more inconvenient than some spilt tea, or a broken lawnmower. We usually go about our daily lives as if nothing had happened. Like the other week when we found Mrs Davis impaled on a knitting needle with the words 'Don't make a fuss' written in entrails. Did we panic? No! We stood over the top of her, drinking tea, as if she were simply another unpleasant stain on the carpet. Unpleasant stains have to be removed; Mrs Davis should have listened to the poison pen letters and the man who strangled her cat. She should have left, but she didn't, and now she's rotting in a hole. Because of these ghastly murders the population of Blandford has been reduced by half, but you don’t care, you're probably American and think all murderers are Black or Muslim. I don’t see why you're bored…Blandford is a very interesting town! Well you may think you'll never need this information about Blandford now, but what if you get a test tomorrow on ‘Blandford The Bestest Town in the World’. Then you'd be in a right pickle, wouldn't ya? Just like Mrs Pollock's preserved cabbage. Just like she used to make in 1947. Those were the good old days we were polite back then and tolerant of all races...except the bloody French…Are you sleeping…WAKE UP!!! CAN’T YOU TAKE INTEREST IN ANYTHING? I POUR MY HEART AND SOUL INTO THIS PAGE AND YOU FALL ASLEEP! !